Project Description PPC constructed a 2,442 square-foot, single story central plant building that contains mechanical, electrical and plumbing equipment. Mechanical systems includes (2) VFD electrical centrifugal 600-ton chillers, associated chilled and condenser water pumps, above and below grade chilled and condenser water piping, hydronic accessories and controls, air intake louvers, and high and low ventilation duct work. 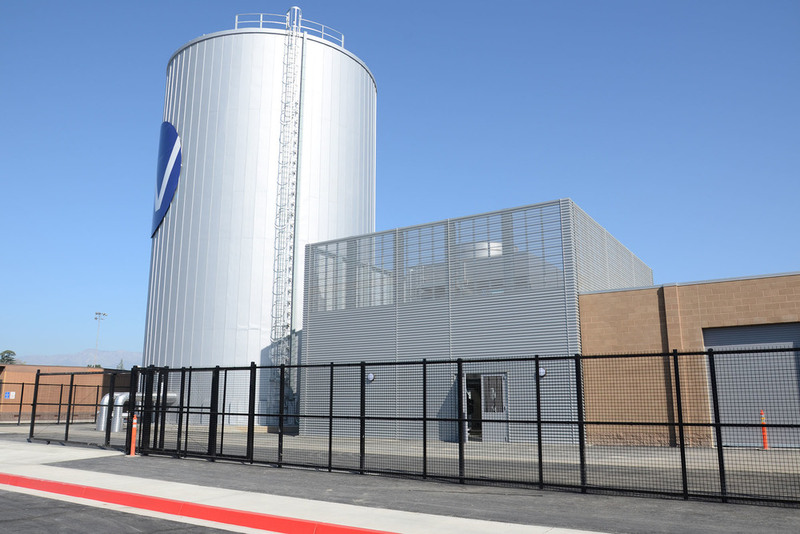 The 3,968 square-foot cooling tower yard includes a 738,000 gallon thermal energy storage tank area, (2) VFD cooling towers, above and below grade chilled and condenser water piping, cooling tower chemical water treatment system, condenser water filtration system, hydronic accessories and controls. In total, there is 22,000 linear feet of chilled water supply and return piping that runs from the central plant and feeds all existing campus buildings. The project took place while the college was in session, minimal disruption to the students and to the faculty was of key importance.